Topics: Learning Outcomes, and Final Regulations (almost). 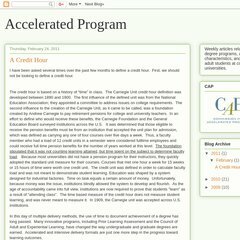 Acceleratedprogram.blogspot.com's server IP number is 72.14.204.132. Google Inc. California is the location of the GSE server.